With unemployment at low levels and the economy continuing to expand, the need for compensation transparency is at an all-time high. Increasingly, employees are also making more demands for visibility into their rewards programs. If your employees aren’t asking directly for this transparency, they are likely seeking information elsewhere from peers, for example, or through websites offering compensation data. The key to transparency is communication from the management team. However, managers at most organizations admit they struggle with how to explain the factors driving the company’s compensation decisions. When employees believe they are paid fairly and equitably, they are more likely to stay with their current jobs and be more engaged in their work. However, a 2015 survey by compensation research firm PayScale shows there is often a wide gap between perceptions about pay and reality. 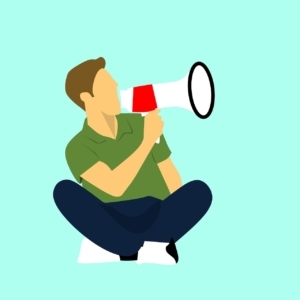 The survey results are clear: if compensation practices are not communicated, employees will not perceive the situation correctly or give the employer the benefit of the doubt. Baby Boomers (Born: 1946-1964) – They tend to be longer-tenured employees with an attitude of loyalty and a strong work ethic. Boomers are used to pay discussions being private. GenX (Born 1965-1979) – Having viewed the decline of employer commitment first-hand, they tend to be pessimistic about the workplace. They are conflicted in terms of openness to pay discussions. They’re willing to talk about the rationale of compensation, but less willing to talk about pay specifically. Millennials (Born 1980-1995) – They are open with communication and are used to sharing information, believing there is little taboo in talking about pay. They tend to want fairness and career flexibility at work. GenZ (Born 1996-Present) – Just entering the workforce, GenZ is comfortable with technology making it easier to communicate with them. However, we’re seeing the pendulum swinging back from the openness of millennials. Millennials are now the largest group of employees. They are more open to compensation communications. This can be a problem for the other generation groups. But it is ultimately a good thing for everyone to be more open about pay as it will lead to greater trust which, in turn, will lead to higher engagement levels. There are other ways to think about grouping your workforce outside of thinking about generational differences. For instance, engineering employees may be less open about discussing pay, while sales teams may be more open. Or think of it in terms of job levels: entry-level employees may be very comfortable talking about compensation while senior managers may be less interested. Differences in how your employees prefer to get their information and the channels they are open to also influence your compensation communication strategy. Are Your Managers Ready to Talk About Compensation? According to PayScale, only about 19% of workers at organizations feel confident in their managers’ ability to talk about compensation. At the same time, managers are unlikely to recognize when an employee is feeling underappreciated. If an open dialogue is not developed and maintained, your company is more likely to experience loss of engagement, lower productivity and turnover. We will return to the topic of compensation communication in our next Compensation Alert and look at how managers can improve their communications about pay to promote greater understanding of workplace compensation policies and practices. In the meantime, feel free to contact me about pay issues you are facing. I can be reached at nlappley@lappley.com or (847) 921-2812.